The Uganda Marathon pledges to offer each participant of the 7-day adventure the ability to offset their personal carbon footprint, caused by participating in the Uganda Marathon, by donating an additional $33 to recycling and tree planting initiatives. Your carbon footprint broken down. For just $33, you can employ up to 4 local Masaka community members to eliminate your carbon footprint for the whole of your Adventure Like No Other, and enjoy the best week of 2018 with no net impact to the environment! $30 – Recycling 500kg of plastic is equivalent to removing one ton of CO2 Emissions. $30 of your donation will go to the Masaka Recycling Initiative to buy 500kg of plastic at 200ugx (4p) per kg from the local community. This part of your donation has far-reaching benefits as the Masaka Recycling Initiative focuses on employing disabled members of the community. So, not only will you be cleaning up rural Africa, but you’ll also be providing jobs to vulnerable members of the community. $3 – Planting one fruit tree, which in its lifetime will remove one ton of CO2 Emissions. Because we will be planting fruit trees, there is a much lower risk of it being cut down for firewood, as it will be recognised as a valuable community source. The Uganda Marathon is working with the community to create a farm space that can be utilised by all. This solution will create jobs, supply food and remove one ton of CO2 Emissions over the tree’s lifetime. Creating a long-term solution that offsets your carbon footprint. 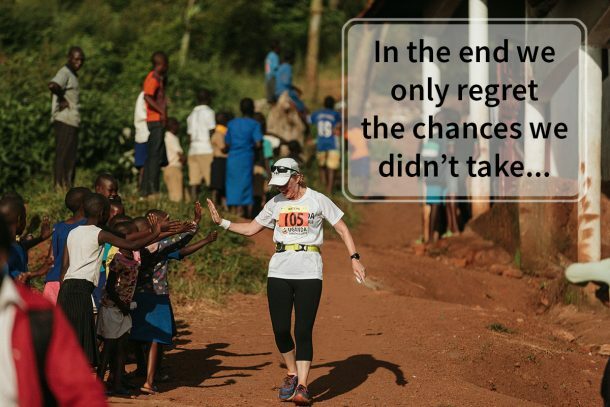 Once you’ve signed up for The Uganda Marathon, you will have the opportunity to make your $33 donation and offset your carbon footprint 60 days before the event. You can then enjoy An Adventure Like No Other with no net impact on the environment! 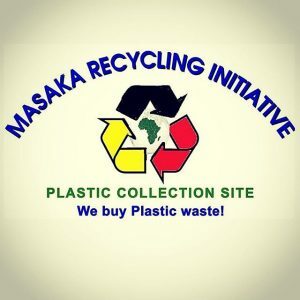 The Masaka Recycling Initiative is a plan to reduce harmful, non-perishable plastic being burnt or dumped into the local environment, whilst also providing employment and a boost to the local economy. The project was launched in 2017 by Andy Bownds, the Uganda Marathon Community & Partnerships Manager. Already, it has created a sustainable plastic collection site in Masaka town that employs over 100 individuals as pickers, and a team of 4 full-time staff working at the site. In a bid to ensure that the most vulnerable members of the community are being supported, the Masaka Recycling Initiative has partnered with the Masaka Disability Union to help generate employment for their members. There is a wide stigma to disability across Uganda and by creating employment for this marginalised group, the initiative is helping to empower their own sustainability.